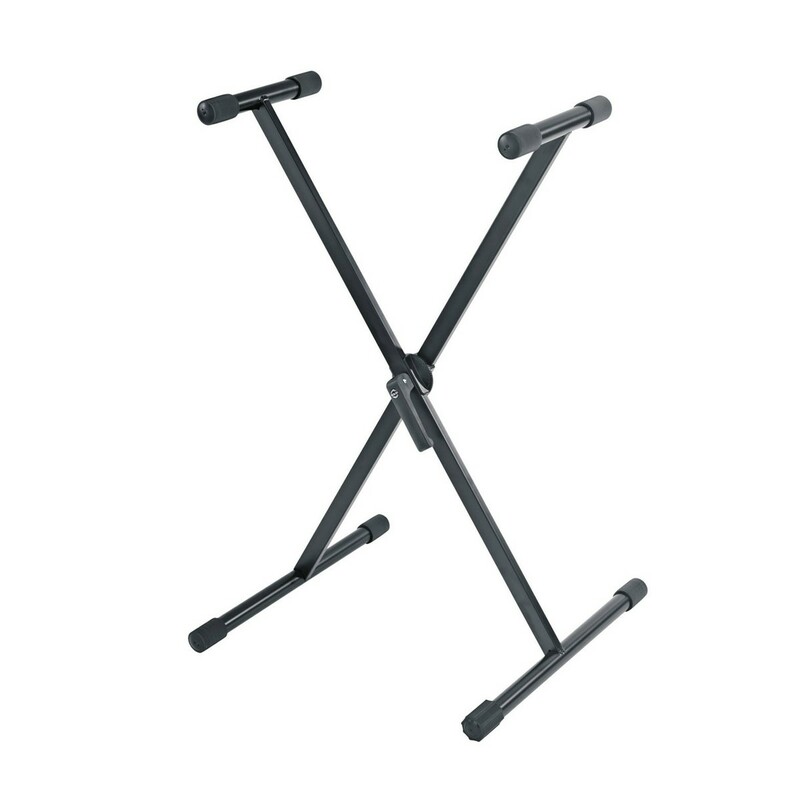 The K&M 18930 Keyboard Stand is lightweight and easily portable, making it ideal for the live musician. 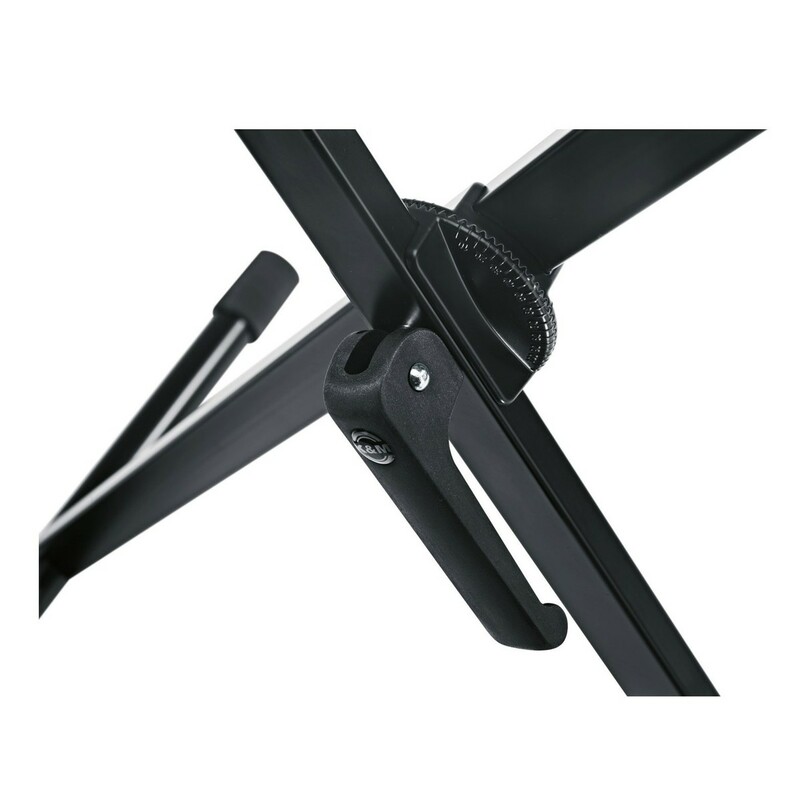 The double X frame shape and robust metal joint allows this model to adjust to shorter and longer widths in 5 intervals whilst remaining fully stable. The rubber feet keep the 18930 fixed in position, which is a necessity for enthusiastic performances. The steel frame can support up to 50 KG, making it suitable for keyboards. 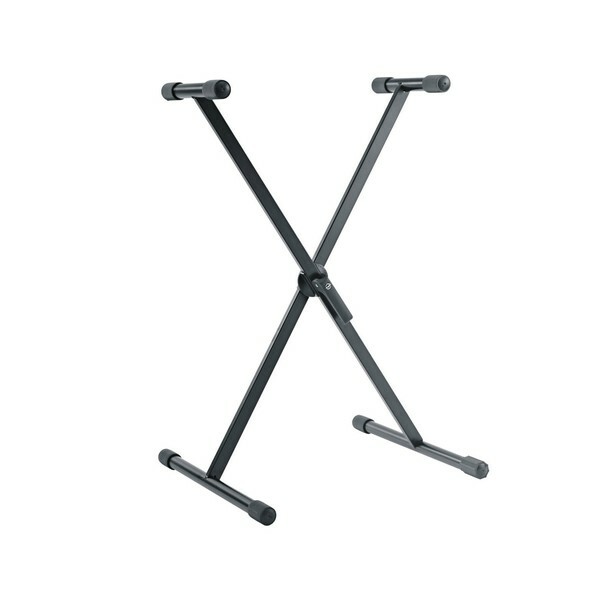 The entire frame can flat pack into an easily portable shape for optimum convenience on the road.